This is a lifesize cardboard cutout of Trophy Award Standup with Base. 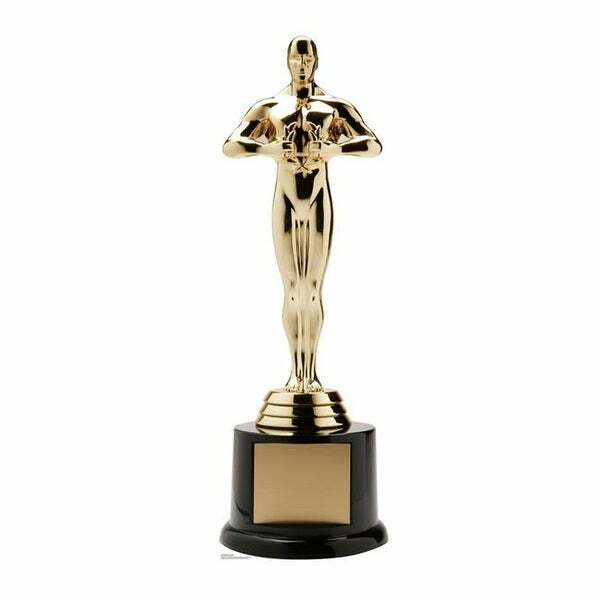 This generic, larger-than-life, cardboard award statue is perfect for award parties and ceremonies of all kinds, where winners from various categories are awarded a copy of a statuette. It's great for whatever accomplishment you are celebrating! The base is great for filling in with your own custom inscription. Size is: 88" x 28". Size: 88 x 28 in.